The markets ebullient mood over the past couple of days turned on a dime this morning as news broke that Trump is finalising a list of new tariffs on China to the tune of $200bln. Meanwhile the latest survey shows business conditions remain buoyant but there is little in it for consumers. Shortly after US markets closed this morning, a report emerged US President Trump was finalising the next round of tariffs of China. The list of items is expected to total $200bln, which is on top of the initial $50bln, the first $34bln of which came in to effect last week. 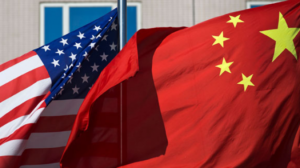 The move shouldn’t have come as too much of a surprise given President Trump had flagged further tariffs as the Chinese responded to the initial round of tariffs, which they did. The escalation of the trade war with China comes as President Trump is flying out to Europe to face off with NATO. On top of arguing for more equal contributions to NATO, he is also expected to attack the EU and specific nations over tariffs judging by his pre-flight tweets this morning. Meanwhile in Australia yesterday we got the latest monthly business survey from the NAB which showed businesses continue to enjoy some of the best conditions since the survey was introduced in the late 1990s. Business conditions remain elevated, with improvements in profitability and trading conditions keeping the business conditions index well above the long run average. Businesses continue to benefit from strong population growth, record low interest rates and relatively benign cost pressures, especially when it comes to most businesses largest expense, wages. There was little good news for consumers though with the employment sub index falling for a second straight month. While Nab suggest the employment index still points to around 20,000 in new jobs growth a month, the fall is consistent with other forward looking indicators of employment. The underwhelming jobs growth so far in 2018 compared to last year means slack in the labour force is going to take longer to work through than was previously expected. That also means the probability of a meaningful pick up in wages is still some way off.